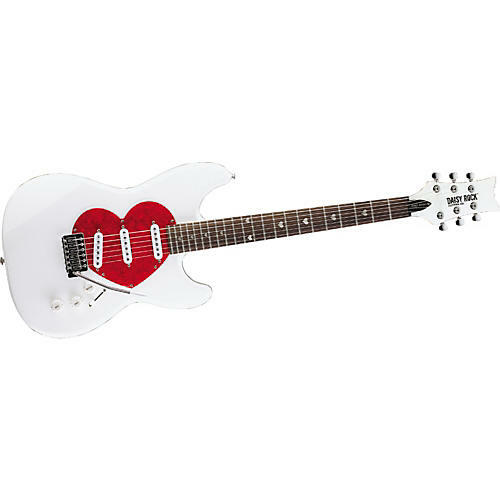 The slim neck profile makes it easier for players with smaller hands while the heart-shaped pickguard with matching fretboard inlays give it the vibe girls love. Lightweight materials and a contoured body allows comfortable playability. Features an alder body, bolt-on rock maple neck, tremolo, and 3 single-coil pickups. The 25-1/2" scale neck has a rosewood fretboard inlaid with hearts.